The Cushman Trackster Service Manual states that the best way to remove a sprocket is from impact. Actually, the design of the taper would also suggest a shock from impact as the best method of separating the 2 mating surfaces. 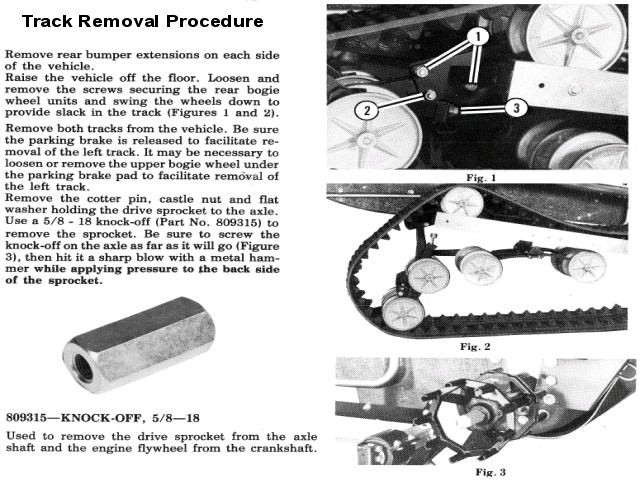 See the Summarized Cushman Sprocket Removal Procedures. However, several Trackster owners have found that impact has the potential of damaging internal gear case parts of the Trackster transmission assembly. Bob has developed a method where using impact of a damaging quantity is not necessary. Here Bob has welded a 5/8-18 nut to a piece of solid shaft and countersunk a hole in the center of the far end as an anchor for the 3 jaw wheel puller. 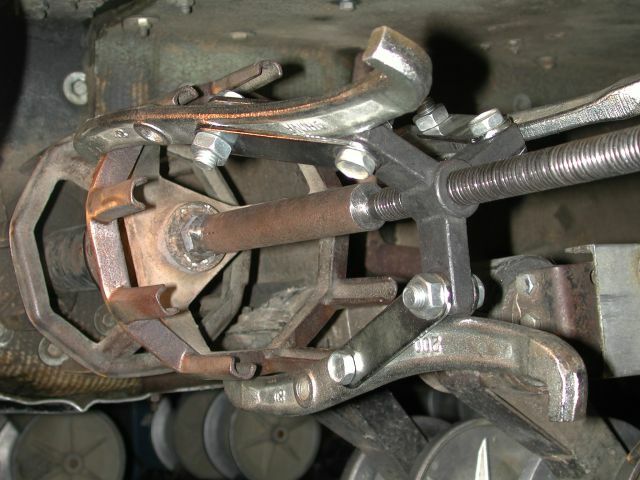 Next, Bob installs the puller and applies enough turns to put a tight headlock between the sprocket and the axle shaft. Note: There must be enough space between the nut and the sprocket to make room for it to move once it breaks loose. Once everything is tight, Bob quickly heats the mandrel of the sprocket. 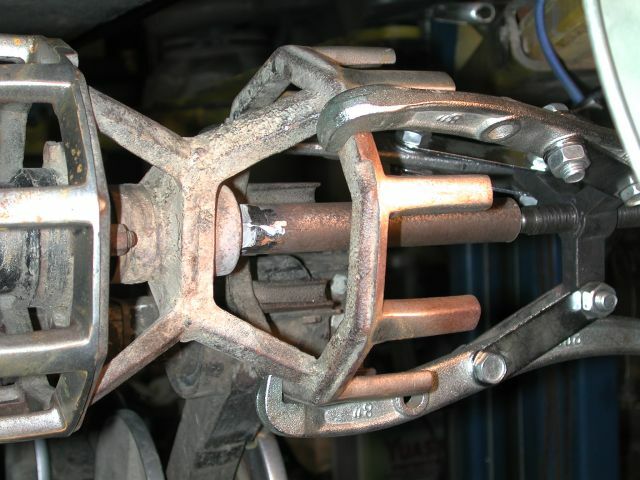 It is very important to use fast heat like oxyacetylene so the sprocket heats faster that the axle shaft. Then one light tap to the puller and all should come apart.